Dominic Breazeale called out Deontay Wilder after cementing his spot as mandatory challenger with a brutal KO win over Carlos Negron in Brooklyn. Breazeale, who was Anthony Joshua's first world title challenge back in 2016, landed a straight right in the ninth round that ended the Barclays Center heavyweight clash. Wilder was ringside last night when 'Trouble' joined 'AJ' and Tyson Fury on the WBC champion's list. "I'm next in line for Deontay Wilder and I'm coming for him," said Breazeale. "I've been waiting for him and I did what I had to do tonight. I'm ready for him now. "I know Wilder is here in the crowd. He came to watch. He knows I'm next. He better be holding on to that belt really tightly, because I'm coming. 'Trouble' is already here." Joshua again made it clear Wilder and the WBC strap are his No 1 target in 2019, with the IBF, WBA and WBO holder looking to become the undisputed heavyweight champion. 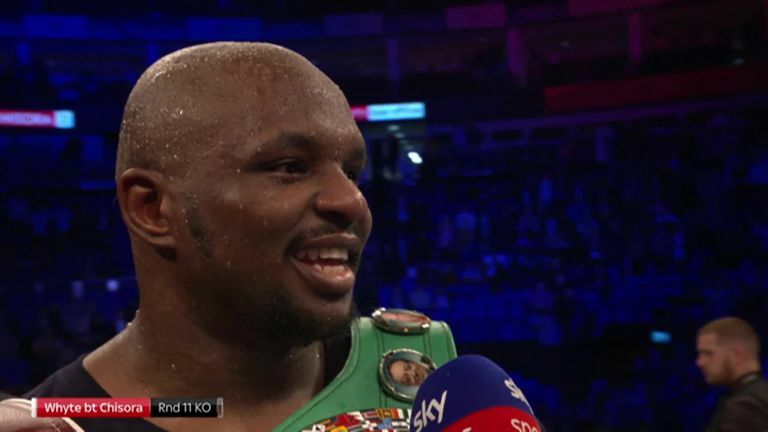 Dillian Whyte, who expected to become Wilder's mandatory earlier this year, called out his British rival after his spectacular knockout of Derek Chisora, but refused to wait around and hear 'AJ's full response. "You know why? I showed him some respect. I just told him straight 'Dillian, I knocked you out clean when we thought, but let's forget about that, because we've both developed, so let's prove who is a better fighter now. "If Deontay Wilder ain't serious, and he's going to fight Tyson Fury and he doesn't want to become undisputed, Dillian you'll get a shot. "He starts piping up, so I said 'alright cool.' I'm quite respectful, but if Dillian steps in the ring with me, trust me, you best believe me, none of these heavyweights are on my level."